On the eastern edge of the iconic Wynyard Quarter, Beca continues to play its part in the Waterfront Auckland development. The landmark Park Hyatt Auckland hotel will have a total floor area of 25,000 sqm over seven storeys, and Beca has helped to ensure that it will meet guests’ expectations of five-star comfort and luxury. This will be the first Park Hyatt hotel in New Zealand. The guest experience of the structure itself is as critical to Park Hyatt’s luxurious brand values as the interior design. One of Beca’s key engineering challenges was minimising the footfall-induced vibration: a common problem in modern structures. Park Hyatt tasked Beca with assessing the hotel vibrations against the SCI P354 design criteria. 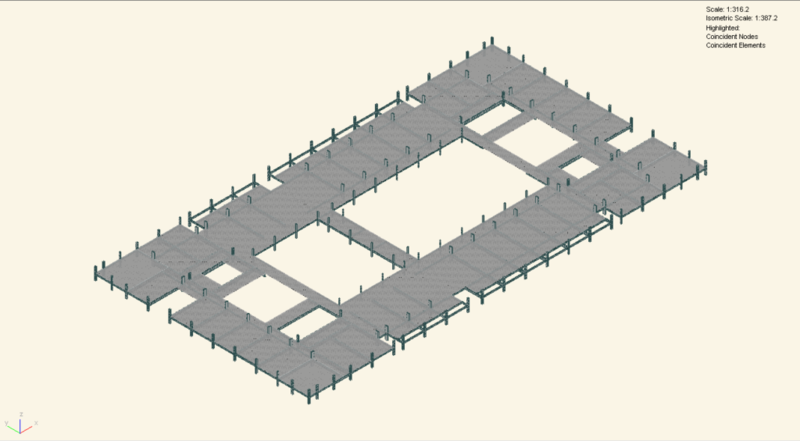 Beca chose Oasys GSA Building as the best tool to model the floor plates using finite element modelling. The primary structure consists of a steel frame and precast concrete floor units with an in-situ topping. The lateral load resisting system uses reinforced concrete shear walls extending the full height of the building, and a perimeter steel frame to help control torsion. Beca assessed the vibration response for a number of cases, including predicted walking paths. 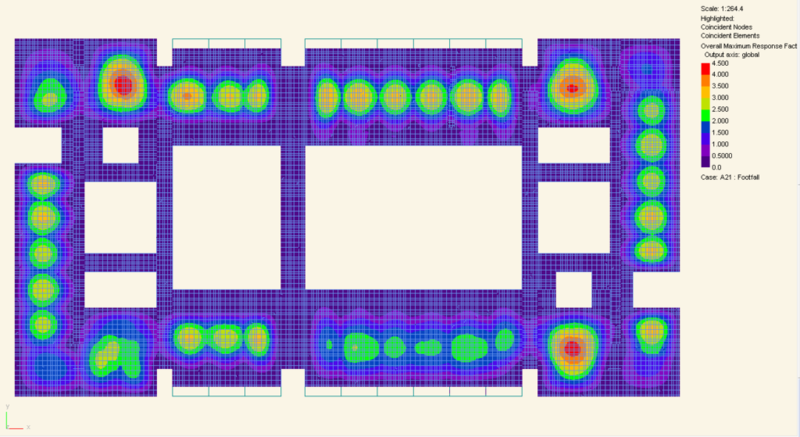 The Beca structural engineers used GSA to predict response factors in the bedrooms caused by people walking in the corridors. The threshold level of vibration for hotel accommodation is relatively strict. Consequently, the analysis of the footfall-induced vibration was to demonstrate that the guests would experience no more than an acceptable level. Assessment of the floors was made in relation to both daytime and night-time factors, as hotel guests lying down to sleep are more sensitive to vibration. Beca’s analysis with GSA Building showed that the design met the floor vibration requirements. The hotel will open for guests in 2017 and will be a flagship of the Waterfront Auckland development programme. On this project all buildings adheres to strict renewable sources guidelines, including minimising waste to landfill and optimising solar renewable energy generation. It is a touchstone for future developments.